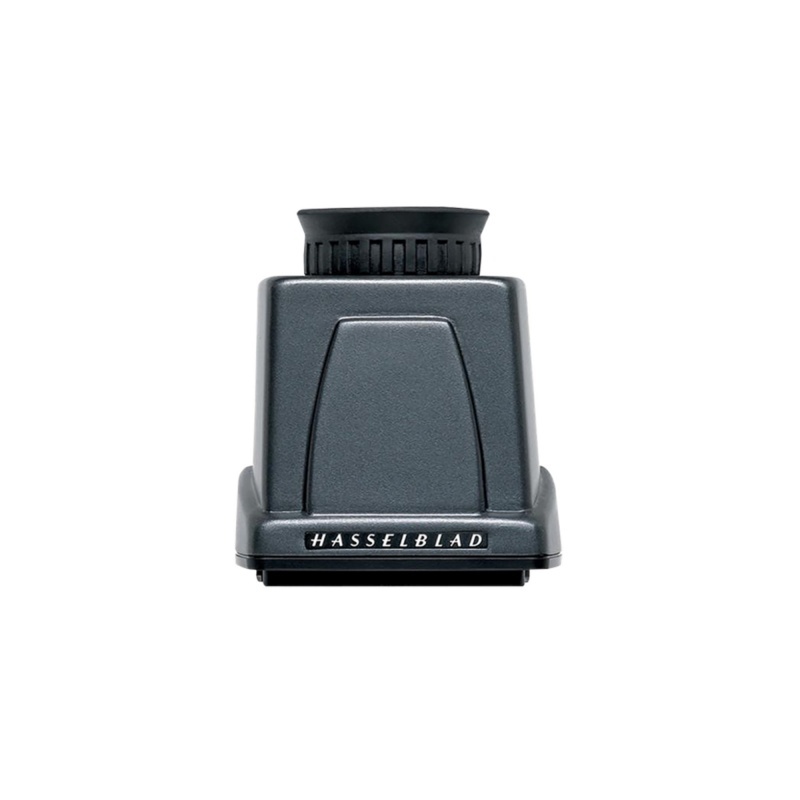 The HVM waist level viewfinder allows a comfortable lower viewing angle either for effect or where eye contact with the subject is desirable in portrait photography, for example. Autofocus function of all lenses fully retained. Optimized for horizontal format shooting and not suitable for vertical format use. An enlarging eyepiece is fitted to provide a close view of the focusing screen. For viewing at a distance, it can be either temporarily flipped away or removed if desired.